Two thousand miles away, in the weather cauldron of the Atlantic, air swells above the surface of the ocean and the pressure rises. The Arctic pack ice will soon be breaking up: spring is coming to the northern hemisphere. Powered by the sun, vast changes are at work in the patterns of the sky. 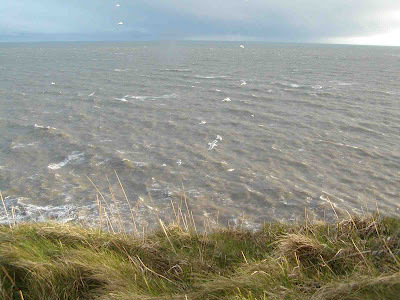 The brunt of the sea wind is taken by the rocky western coast. By the time it reaches this far inland, on the field edge by a small Hertfordshire wood, it has only enough strength, at first, to move the leafless twigs and branches of the trees. The sound it makes in the canopy is gentle and sweet, but insistent, the token of stronger wind to come. Where the sky is clear, it is unusually blue, and the clouds are white, making huge, luminous mountains and ravines. Their terrestrial shadows must struggle to keep up, lumbering westwards, towards London. By fits and starts the wind grows in strength all day. Down here in the dry valley, the buffets are absorbed one at a time by the wood. Trees moderate all extremes, of wind, of heat and cold and rainfall, and for the moment they are still in full control. But the wood is only a remnant of what once was, and an artificial one at that, allowed to stand for the sake of the breeding pheasants. From most of this landscape the forest was stripped long ago, and now even the hedgerows are going, leaving flinty pastures divided by barbed wire, and nothing to challenge the late winter winds on their long sweep in from the west. Up at the farm, on an exposed hillside, the wind is already a force to be reckoned with. The fence wires are taut and moaning, and the cattle have moved nearer the farm buildings. The energy of the wind, if only we could convert it efficiently, would put a nuclear power station to shame. It appears to us to be squandered, thrown away, but in the natural world nothing is ever wasted, not even the wind. In the landscape that was, the winter gales cleansed and purified the forest, weeding out dry branches, bringing down old and sickly trees so that saplings were given a chance. The spaces formed in the canopy allowed light to reach the forest floor, encouraging a rich variety of plants which lasted as long as the clearing did. The fallen timber itself gave opportunities to a wide range of specialist insects, mosses, lichens, ferns and fungi, and to all the creatures that fed on them in turn. The wind not only causes the final crash of dying trees: it is also the chief agent of decay, spreading, by the hundreds of thousands of billions, the spores of timber-rotting fungi, so that no broken branch or wound in the bark is anywhere safe from infection. Besides death, the wind broadcasts life. Migrating birds make use of favourable winds; all manner of seeds, from thistledown to the spinning blades of ash and maple seed, are dispersed on the air; and if a flower does not have nectar or a showy set of petals, it is probably pollinated by the wind rather than by insects or other animals. Like the fungi with their spores, wind-fertilized plants produce their pollen in staggering quantities. In summer no part of the atmosphere is free of grass pollen, and even well away from the hayfields the levels can be high, as allergy sufferers know to their cost. Grasses are highly evolved plants, and their flowers show a reduction and simplification of structure which is shared by most wind-pollinated flowers. Quite often the female stigma is feathery or sticky, or both, to give it more chance of catching pollen, and quite often the flowers, instead of having both male and female parts in the same structure, are of separate sexes. The male plants then usually outnumber the females, and cover large areas of ground. Among those sorts that must coexist with broad-leaved trees, flowering comes early. The hazel catkins appear in the first fortnight of February; a little later come the small grey mice of the sallow flowers, and this week, at the wood, the dog’s mercury is coming into its own – a plain, simple-looking plant, related to the spurges and more distantly to the nettles, which is a classic of wind pollination. With each gust its pollen can be seen drifting in faint yellow clouds. The female plants grow in clumps surrounded by carpets of males, so that whichever way the wind blows they are sure to be pollinated. The sight and smell of dog’s mercury pollen always come with the March wind. So too does a special transparency of air, a clarity and subtlety of colour. Up here, there is nothing to obstruct the vision. The range for the eyesight goes on and on, away towards Bovingdon, towards Aylesbury, away past the horizon, and beyond, to the incoming cloud mass and the pure, wild air above the sea.